As I head back to college for another year, I am ready to switch up my bedding. I have always loved Roberta Roller Rabbit, and in the past I used this bright quilt with matching sheets. This year I wanted to calm my room down a bit, move away from lots of color and keep it to one color scheme. 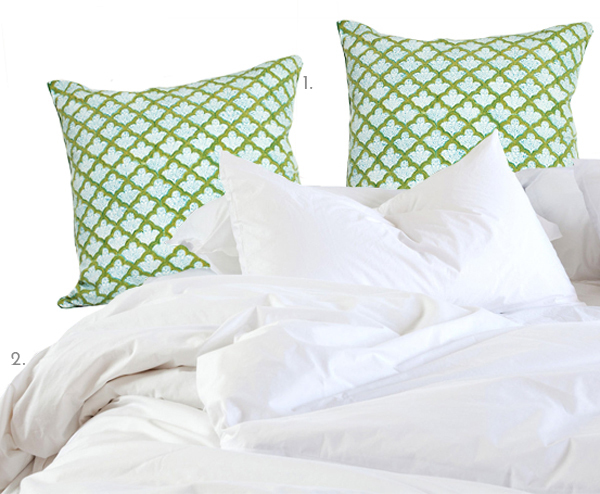 I came across Parachute Home earlier this month and I thought it could be the perfect new bedding. I know that many people would not suggest white sheets for college (my mom included), but I wanted something really simple and classic. When I saw that Parachute Home made their their signature Venice set in XL Twins I was sold. 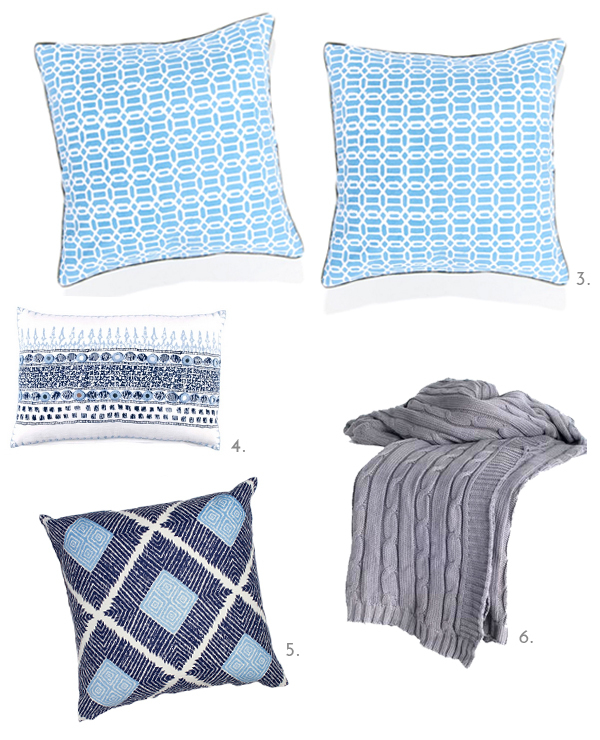 With the base of white sheets I wanted to add color with pillows, so I stuck with my favorite color blue. I headed to one of my favorite shops here in Portland, K. Collete, to see what I could find. They had a great selection and I ended up narrowing it down to two large euro pillows from Roberta Roller Rabbit, and then two additional pillows from John Robshaw. Next, I wanted to find a perfect throw blanket. I've always wanted this great chevron throw from Serena & Lily, but I ended up finding a great gray knitted blanket from another shop in Portland, Maine, Folly 101. 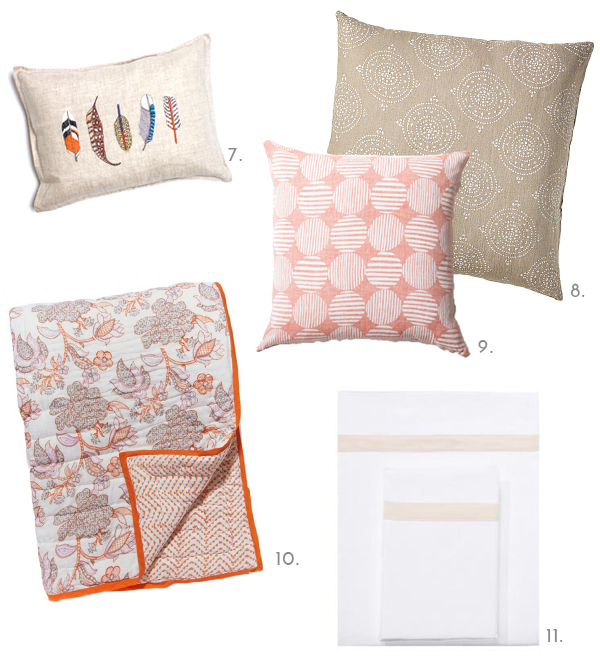 When I was working on this post I also came across this beautiful quilt (#10) from Roberta Roller Rabbit and I have always loved Rebecca Atwood's pillows. If you are more of an orange person this could be a fun way to go as well. I love the look of layering colors but I am so happy that I found pieces that are in the same blue color range but are all unique. I cant wait to see how it will look all together when I get to school! Do you all like to stick to one color range when decorating or do you prefer to mix and match?